WWW Wednesday is run by Taking on a World of Words. 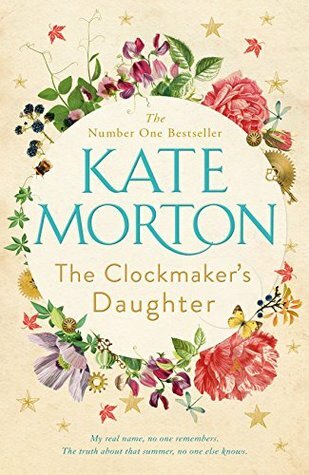 I’m reading Kate Morton’s latest book, The Clockmaker’s Daughter due to be published on 20th September 2018. I’m enjoying it very much so far. It’s set in the 1860s at Birchwood Manor on the banks of the Upper Thames where a group of young artists led by Edward Radcliffe are spending the summer and also in 2017 with Elodie, a young archivist in London, who finds a leather satchel containing two seemingly unrelated items: a sepia photograph of an arresting-looking woman in Victorian clothing, and an artist’s sketchbook containing the drawing of a twin-gabled house on the bend of a river. It’s a story of murder, mystery and thievery, of art, love and loss. 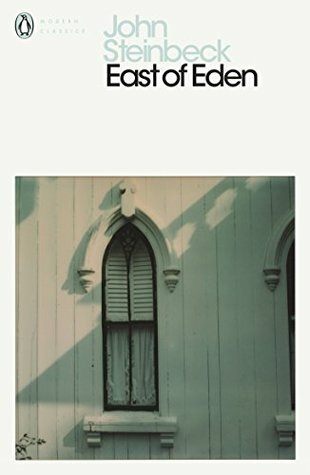 I’m also reading East of Eden by John Steinbeck. It’s the story of two families—the Trasks and the Hamiltons—whose generations helplessly re-enact the fall of Adam and Eve and the poisonous rivalry of Cain and Abel. I like Steinbeck’s writing, particularly the opening description of the Salinas Valley in California, but so far I’ve not found the book as absorbing as The Grapes of Wrath, which I loved, but then I’ve only read up to page 125 (612 pages in total) and am just getting used to the leisurely pace of the novel. Wedlock: How Georgian Britain’s Worst Husband Met His Match by Wendy Moore, non fiction about Mary Eleanor Bowes who was the richest heiress in 18th century Britain. She fell under the spell of a handsome Irish soldier, Andrew Robinson Stoney and found herself trapped in an appallingly brutal marriage, terrorised by violence, humiliation, deception and kidnap, and fearful for her life. It’s full of detail and reads more like a novel than non-fiction . 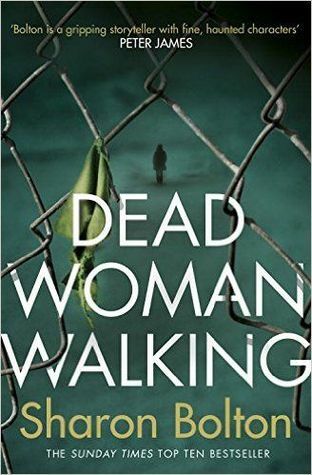 Another book I’ve finished recently is Dead Woman Walking by Sharon Bolton. I loved it – very clever plotting, great characters and set in an area of Northumberland that I know quite well (a bonus). It begins with a balloon flight that ends in disaster and only Jessica survives as the balloon crashes to the ground, but she is pursued by a man who is determined to kill her. I love this kind of book, full of suspense and surprises and one that draws me within its pages. 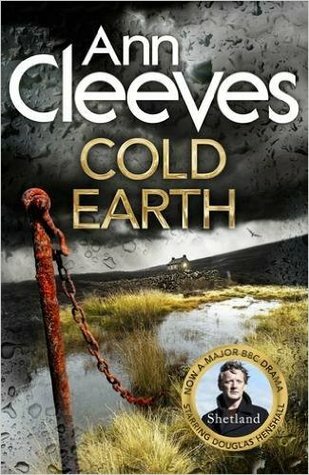 Ann Cleeves’ 7th book in her Shetland series, Cold Earth because I really want to read her 8th book, Wild Fire which was published last week, only to discover that I haven’t read Cold Earth yet! In the dark days of a Shetland winter, torrential rain triggers a landslide that crosses the main Lerwick-Sumburgh road and sweeps down to the sea. At the burial of his old friend Magnus Tait, Jimmy Perez watches the flood of mud and peaty water smash through a croft house in its path. Everyone thinks the croft is uninhabited, but in the wreckage he finds the body of a dark-haired woman wearing a red silk dress. In his mind, she shares his Mediterranean ancestry and soon he becomes obsessed with tracing her identity. Then it emerges that she was already dead before the landslide hit the house. Perez knows he must find out who she was, and how she died. My book this week is one of the books I’ve been thinking about reading soon. It’s Dead Woman Walking by Sharon Bolton. ‘This woman – Jessica Lane – should have died. Eleven people were killed in that crash. Not only did Lane survive, she walked away. She’s still walking. ‘So, I want to know where she’s going. I want to know why she hasn’t been in touch. Why she isn’t seeking help. Why she’s deliberately avoiding the police. ‘I want to know who she’s running from. Just before dawn in the hills near the Scottish border, a man murders a young woman. At the same time, a hot-air balloon crashes out of the sky. There’s just one survivor. She’s seen the killer’s face – but he’s also seen hers. And he won’t rest until he’s eliminated the only witness to his crime. Alone, scared, trusting no one, she’s running to where she feels safe – but it could be the most dangerous place of all . . .
Well, I will – I want to know the answers too. And as I always find that Sharon Bolton is a brilliant storyteller I may just start reading it today.